Everything I read before I went didn't do it justice, and this probably won't, either, but here I go. 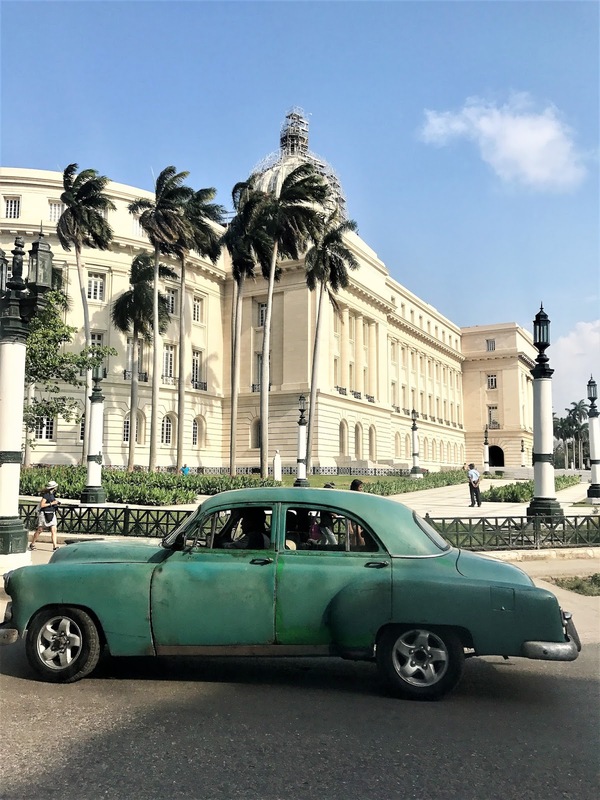 Imagine if Barcelona was in the Caribbean, but a bomb had hit the city leaving some parts in ruins, with trees growing out of the buildings, and yet still, sunshine, music and a strong sense of 'being Cuban' shines through - it's like that. A lively, proud, gorgeous, crumbling place - I read that it's a city of contradictions, and they really weren't wrong. I could talk about Havana for days but here are my top ten things to do /see / restaurants to eat / places to stay. If you are going to Cuba, you might also find my post 'travelling to Cuba: what you need to know' useful. The first thing that hit us as we arrived in the dead of night, was why the building next to ours had been completely demolished. Our taxi driver just laughed, shrugged and said 'Cuba'. 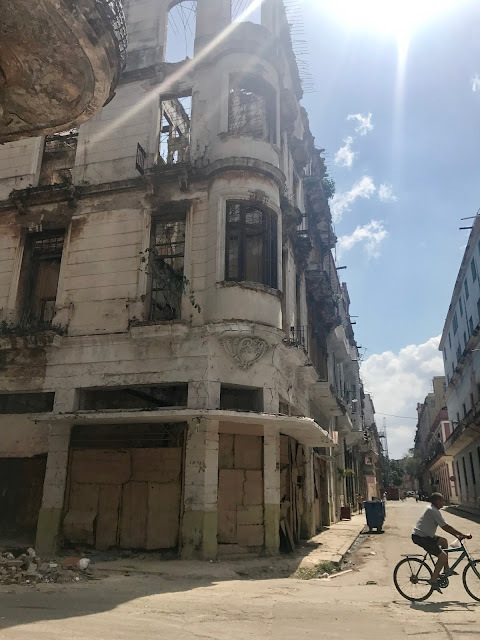 The main thing we noticed with the buildings in Havana was just how many buildings and streets looked as if a bomb had just hit it. You'd be looking at an amazing church or building and next to it would be a complete wreck, with plants growing out of windows. It was really apocalyptic and a bit dystopian, which took some getting used to. The colonial old town is very much like a European city (it really reminded me of Barcelona or Rome), but make your way over to Vedado to the 'commercial' side of the city and you'll see the overwhelming 50/60s concrete sky scrapers, dominating the skyline. 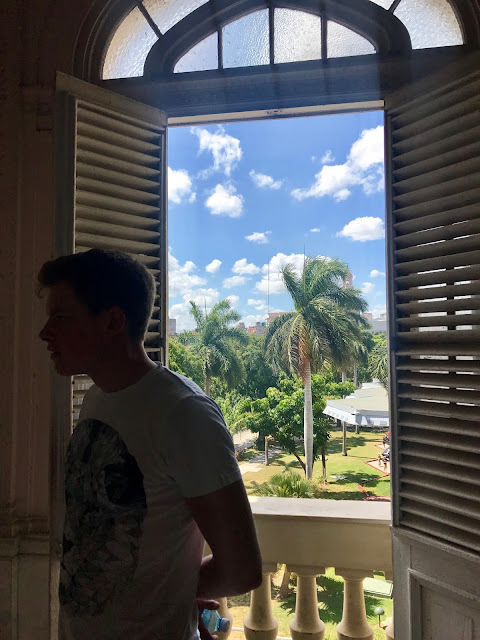 We walked from Habana Viejo (old town), through an area called Animas (probably one of the most eye-opening streets I've ever walked down), through to Vedado, choosing to see the city in all its different lights. We never once felt unsafe or really vulnerable, despite a lot of the time being the only tourists about (especially in the streets back from the main squares / roads). There's so much to see, but hands down one of the best things about the city is the cars. I thought they were just something that we'd see every now and then as a bit of a tourist trap (and don't get me wrong lots are), but they're literally everywhere and add such a quirky, timeless aspect to the place! One thing we did notice was the pollution was quite bad, so if there's not much wind you might find that you really notice it too and would prefer to get in a car - you can do car tours for about 70/80CUC for a couple of hours. Nestled in the old town, this place was great. 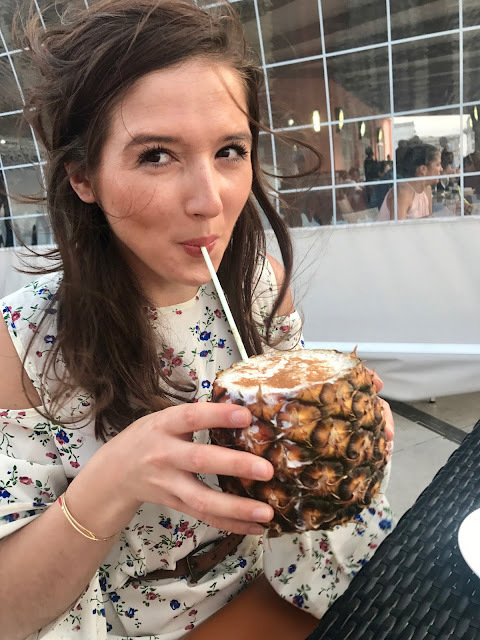 I had an amazing gin cocktail, and the drinks list was extensive and soo reasonably priced, so I'd definitely recommend this place. During the day, this strip of hotels including the Hotel Inglaterra is a great place for a drink or coffee, as they've got seats and tables outside, and it's where a lot of the tour cars wait, so it's really colourful, busy and lively. This place was really special, with incredible views over Havana. If it wasn't for the relentless wind, it would've been perfect, but we didn't let that stop us enjoying a few drinks at sunset. This place is apparently the birthplace of the daiquiri, made famous by Ernest Hemingway, who visited La Floridita loads. You can't help but get sucked in to the atmosphere of this place - the moment you walk in there's a band playing loud jazz and everyone is dancing, drinking and laughing together, despite the fact it was barely midday. Definitely spend an afternoon getting tipsy here! Wow, this place is amazing. It was recommended to me by someone through work, and I can't thank them enough! Situated in the heart of Vedado, it boasts a very unassuming entrance, so you think you're entering in to an office block or something similar. There was also some dude outside waving a menu which I usually find off-putting BUT don't let that put you off - the food, service, views... everything was so good. THE nicest lobster I've ever had! The Edificio Focsa (ugly huge building pictured, ha) was named one of the seven modern engineering wonders of Cuba (yep), and despite its ugly facade, it's actually pretty fascinating - there's a flock of vultures that live on the top floor! I wish we'd seen this place at night, too. This little square in the old town is like something straight out of a European city and has lots of cute little restaurants and bars to sit and lap the sun up in. We had a great meal at a restaurant that I can't remember the name of but the atmosphere was amazing - live bands, people dancing and good, tasty food. It was on the corner of the square, as you enter from the old town. Also, O'Reilly 304 do really good looking food (the tacos especially). We didn't have enough time to eat when we were there but it looked amazing, and our airbnb host recommended it to us as a great lunch time spot. We walked here from the old town which took about an hour, so if you're not feeling a big walk, maybe ask to do this on a car tour! It's worth a visit as it's on the way to the Plaza de la Revolucion and is really interesting to see it in 'action' - there's a HUGE athletic stadium and pool that's completely deserted, which is kind of weird. The buildings around the uni are lush too. 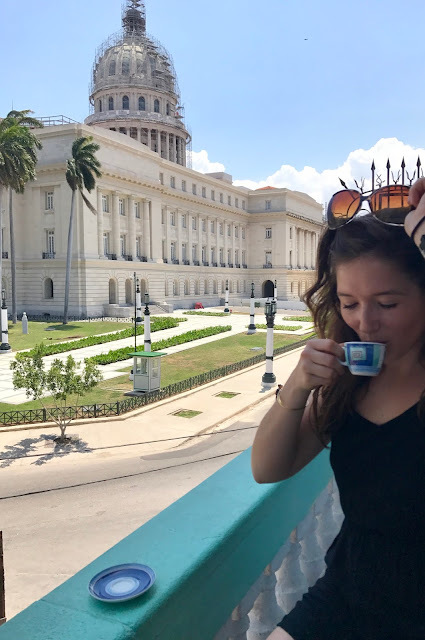 Read up on the politics before you go (I mention a documentary James & I watched on Netflix before we went in my last Cuba post), as it puts the entire area into context. It's a sparse, humongous space that's guarded seriously by government officials, and even in the gorgeous heat of the day, the ugly utilitarian buildings (built in the 1950s) and their grey colours dominate the landscape. It's not picturesque, but it's really cool, and you can really see how it was the perfect place for huge scale political rallies. We didn't go inside the Memorial a Jose Marti at the plaza but apparently it's the tallest structure in Havana, with a look out on top, that's supposed to have amazing city views. The Malecon is weird. It could be absolutely amazing, like the promenade des Anglais in Nice, but... it's just a bit, well, sparse? 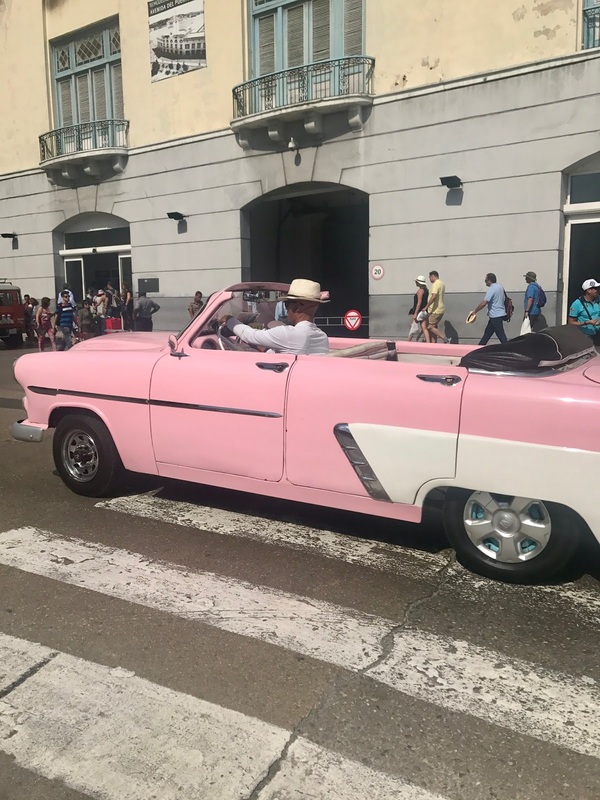 Don't get me wrong, it's seriously impressive (it's 8km long) and when you approach it walking down from Prado (one of the main boulevards), and you see all the amazing cars it's incredible. Still, the sea is amazing and crashes over the wall onto the streets, so it's pretty dramatic - we ran along it one morning from our airbnb, down Prado and along the Malecon to the Hotel Nacional and back, which was tough, especially coming back; there were lots more cars on the road and the fumes were starting to get a bit much! If you're going to run, I'd recommend going before 9am. This is just off Prado (a big boulevard that was modelled on Las Ramblas in Barca!) 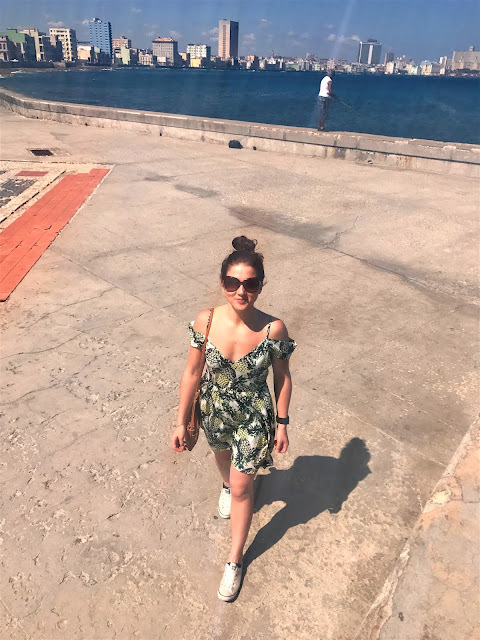 and the Malecon, and is a great place to get a bit of history and context around the city, and the whole of Cuba really. It also shows quite graphic pics of torture victims, and blood stained uniforms, so it's a pretty graphic exhibition..
We spent the first two nights and three days staying right opposite this at a place called Capitolo Residences. It's an absolutely incredible location, with the balcony looking out onto the Capitolo Residences. This building is absolutely gorgeous. It was modeled on the Washington DC building, and built when Cuba was gifted 'sugar money' after WW1. The Capitolo Nacional was under renovation when we were there, and I think was being used as a science / uni building...could be wrong on this one! We were a little nervous when we walked up the crumbling stairs to our air bnb, especially since the building next door had literally fallen down, but inside told a totally different story - with gorgeous marble pillars and huge, tall rooms. The room was gorgeous - huge ceilings, white wash walls, gorgeous bathroom and really comfy bed. As well as being opposite the Capitolo Nacional, you're also opposite is what used to be Havana's most famous theatre, which has just been left to rot, crumble and be ransacked of its beauty. It was fascinating to just sit and drink coffee, watching the world go by and having these two buildings, that couldn't be further apart, in the same frame. 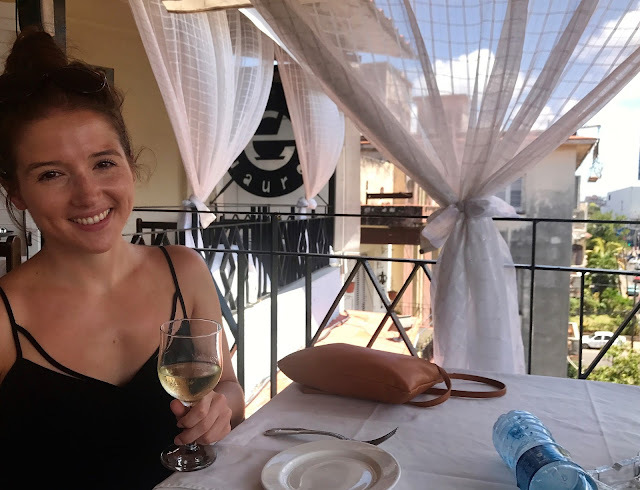 You're a 3-5 minute walk to Parque Central (where there are loads of amazing international hotels with great rooftop bars and live music; you'll hear this at night if you're walking around the area! ), and 10 mins from Prado and the start of the old town, so it's a great base to explore the city. I couldn't not mention Animas. It's the street I was talking about earlier, that's like a world apart from any street I've ever seen, and we stayed in a gorgeous airbnb / hotel on this road. 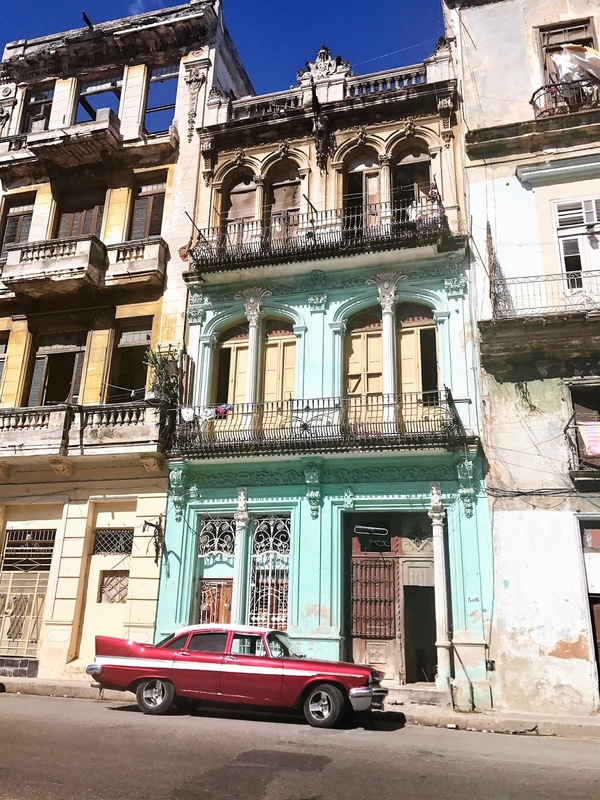 We spent another night in Havana on our way back home, and this time stayed at Animas 303. This place is gorgeous, a little boutique hotel with kitchen, dining room and rooftop bar (this wasn't finished when we were there but they were building it and it looked fab!). I think every room has a balcony, and ours had a great view out on to the lively street below. 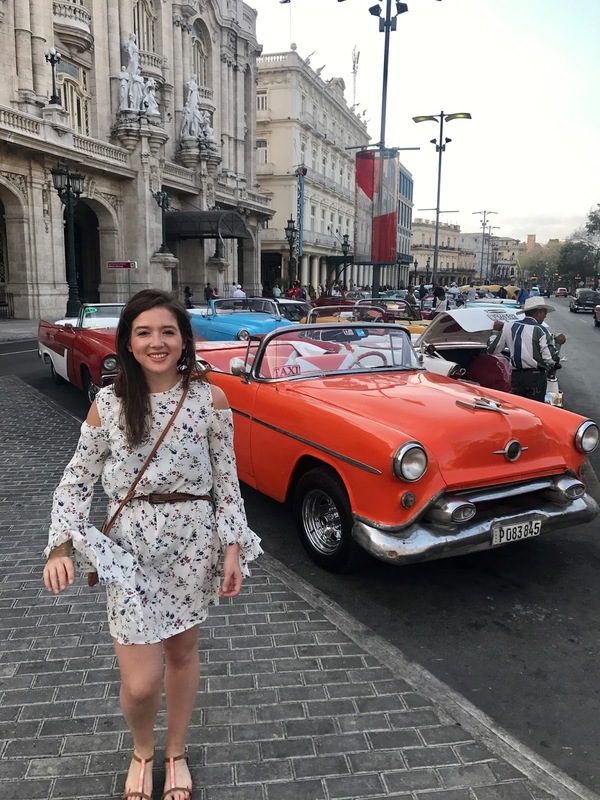 I absolutely adored Havana and would go back in a heartbeat. It's bursting with intrigue and history, and has so much rich mystery surrounding it, I couldn't recommend it enough.